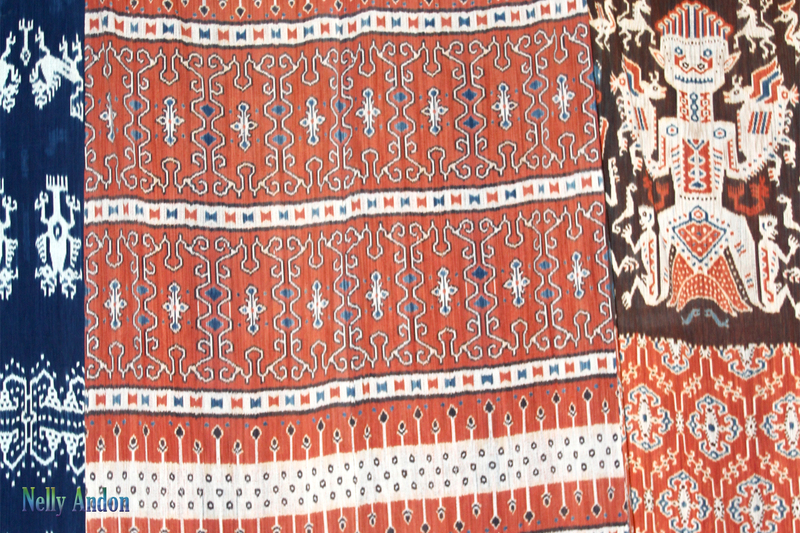 The island of Sumba in East Nusa Tenggara is famous for its fascinating tribal culture, unique megalithic tombs and distinct landscapes and their amazing pictorial textile designs. 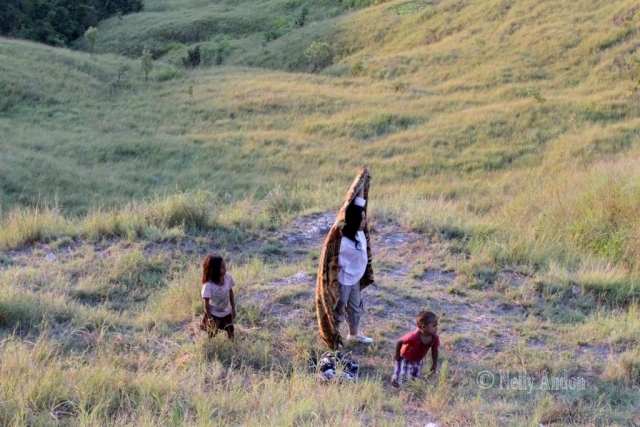 Sumba is a fairly small island, slightly smaller than the western part of Timor but slightly larger than Bali or Lombok. 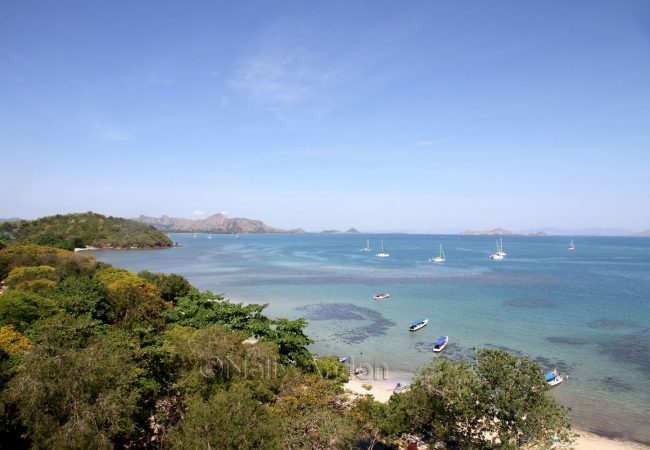 It is tucked away in the East Nusa Tenggara side of Indonesia. Part of the island is still untouched by modern civilization, particularly on the western side. I travelled to East Sumba this year accompanied by one my nieces, Tara, who is also a loyal volunteer to Connect Indonesia, The Charity. 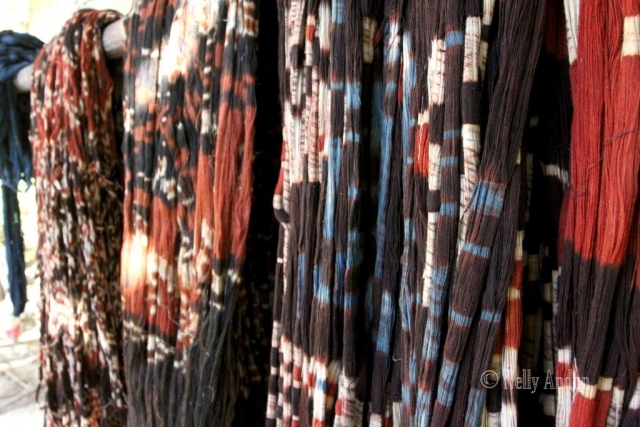 The purpose of my visit here was to look closer at some of the most amazing textiles work by the local textile artists in the island. 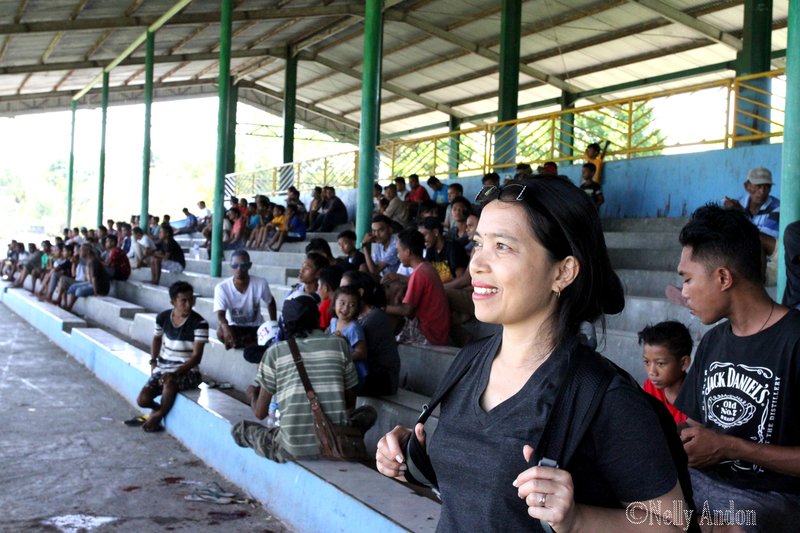 I have connected with many of them through the charity I founded, Connect Indonesia, The charity (http://www.connect-indonesia.org). 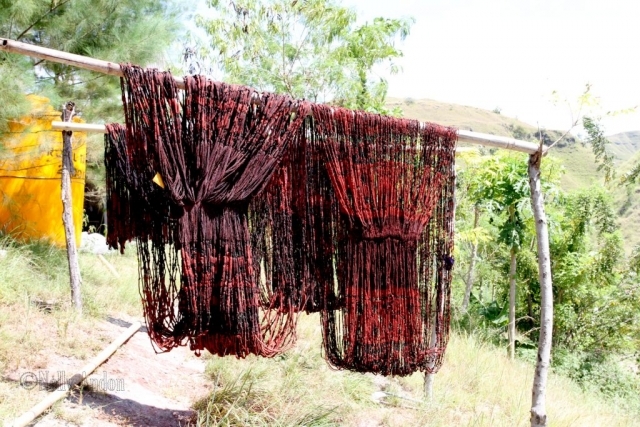 Over the past few years, I have been connecting to several weavers’ groups here in the island, they were introduced to me by people who had worked with them before. We are happy, that so far, we have managed to distribute a few pairs of glasses to weavers in Melolo and Lambanapu region. We flew to Bali from Jakarta, then hopped on connecting flight to South West Sumba. We landed at Tambolaka Airport, greeted by a very friendly man, bapak Freddy Hambuwali, the owner of the Morinda hotel where we stayed during this holiday. 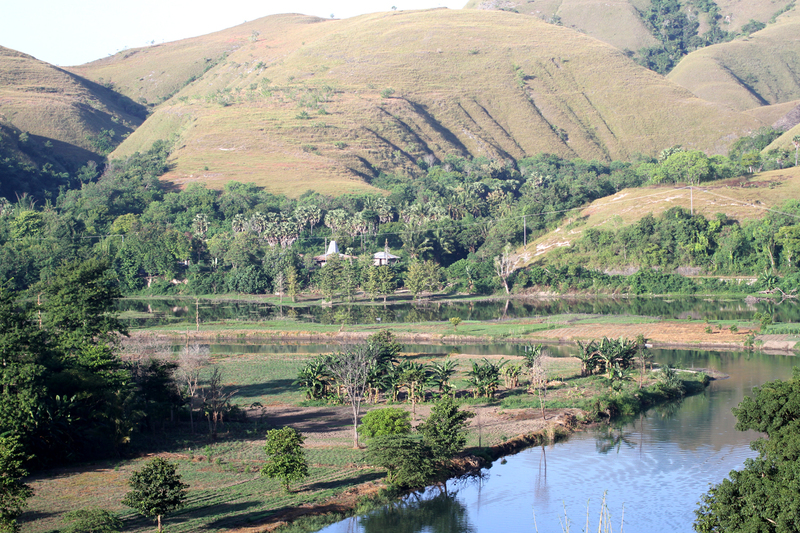 First stop, was Morinda Hotel, located up the hill of Kambaniru, Kambera, near Waingapu. Morinda Hotel & Resto located fairly high up the hills, surrounded by stunning hilly landscapes, and perched just above one of Sumba’s longest river, the Kambaniru river. 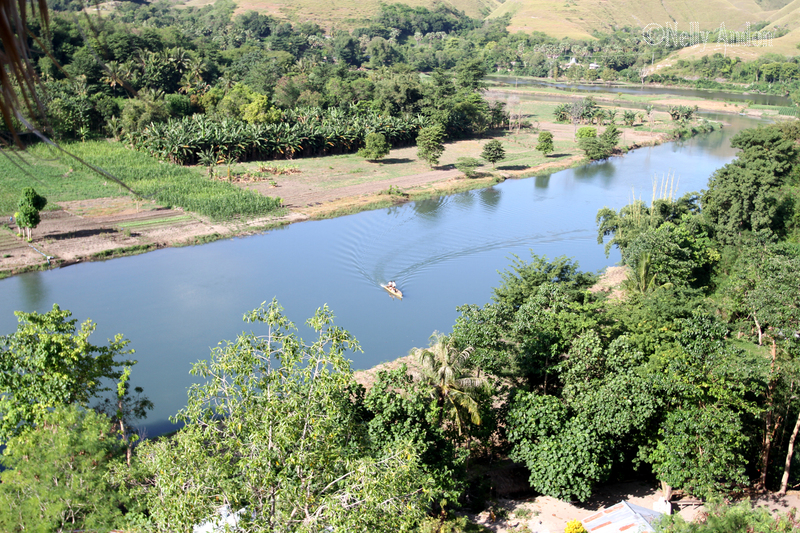 From our room we have an amazing view to the hills around us and to the Kambaniru river down below. Pak Freddy and the Morinda hotel staff were very friendly and helpful. We felt like part of the family, they treated us so well. In the mornings, we woke up to a huge selection of breakfast, and local freshly brewed coffee. 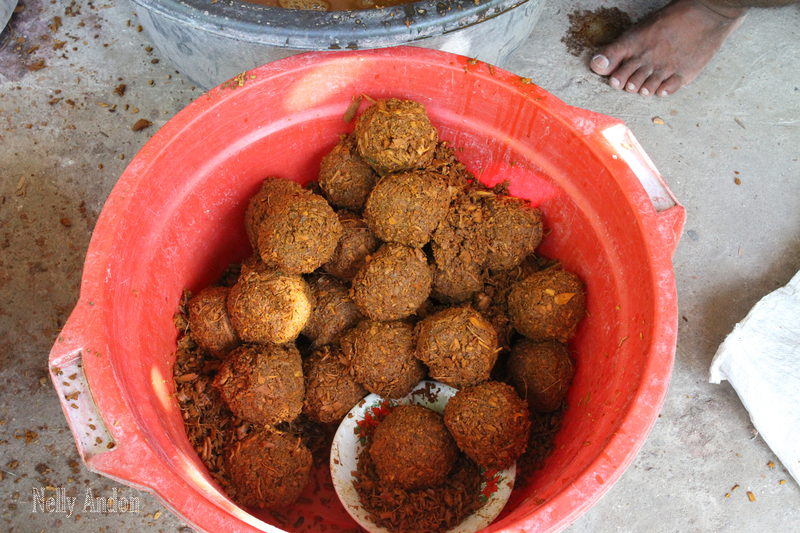 They also serve good food for lunch and dinner. One morning, pak Joko our guide and driver told us that there is a community horse racing event in town and pak Freddy was there and we were welcome to join them. 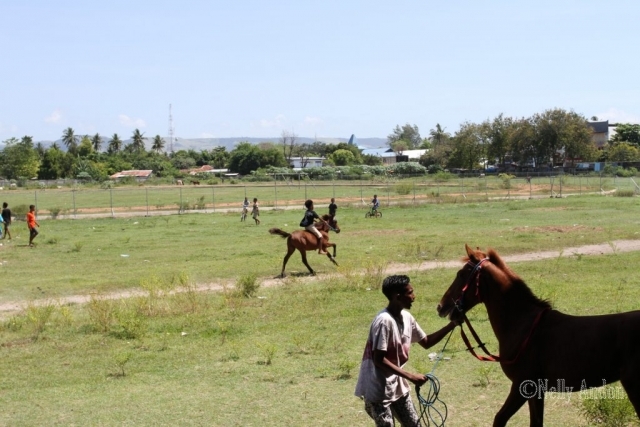 This was a great opportunity for us to see real Sumba horse racing culture. 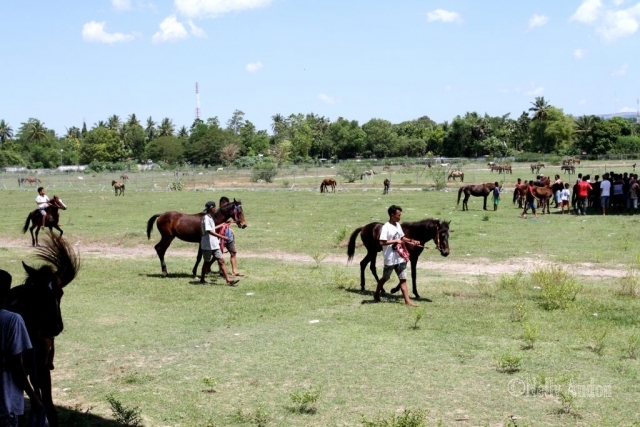 Sumba is famous throughout Indonesia for its child jockeys and ‘Sandel’ horses named after the sandalwood that was once exported from the island. These rather small horses are truly fast and are found throughout the island. It is also widely believed that these little horses are apparently descended from horses which were once ridden by Mongol warriors in battles. I noticed that the event attended mostly by male, young and old. 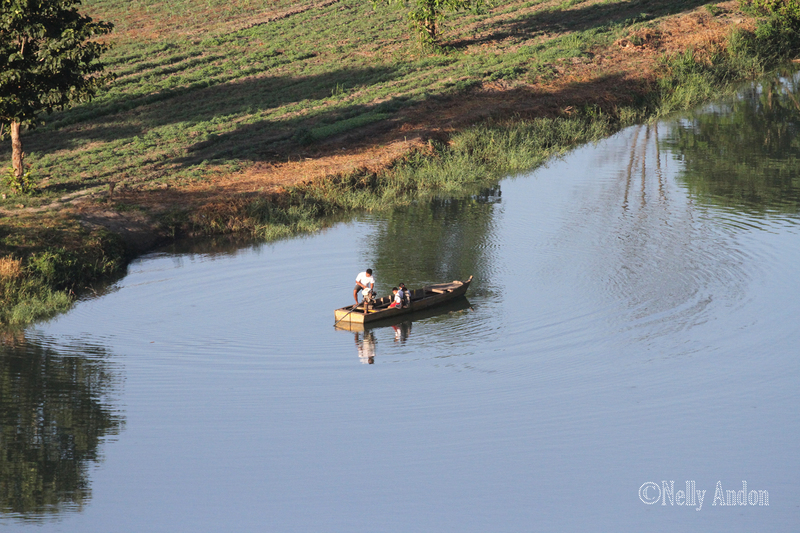 Witnessing the races were truly special, being with the local people and learn about this valuable culture. We felt truly blessed to have met pak Freddy and stayed at Morinda Hotel, he was extremely helpful. 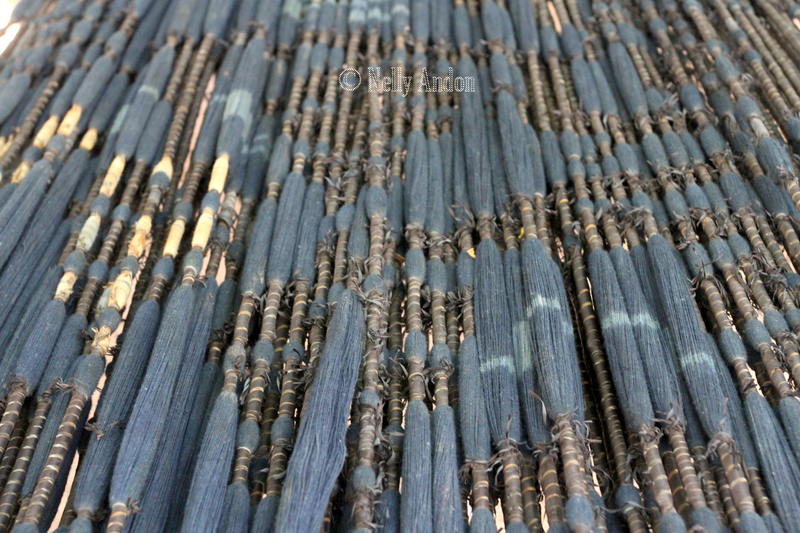 He offered to take us to visit several weaving villages, meeting local weavers and tried to understand the weaving processes closely. 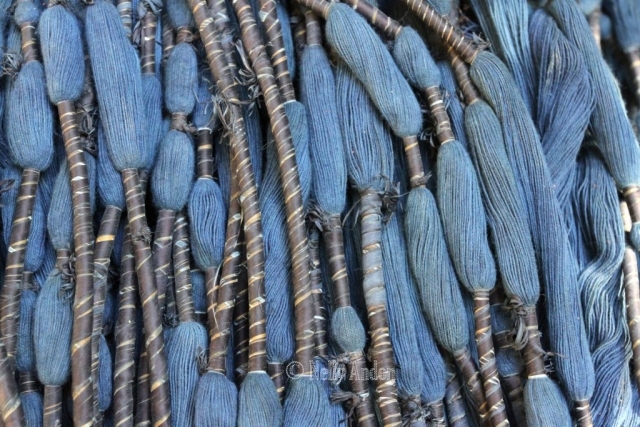 He introduced us to his older brother, David Hambuwali, who is an expert in indigo dyeing. We also visited many large established weavers group, such as Kornelis Ndapakamang, who manages natural dye weaving studios in Lambanapu Village, not far from Morinda hotel. Kornelis and his team have been working tirelessly to promote the use of natural dye materials to dye the hinggi textiles. 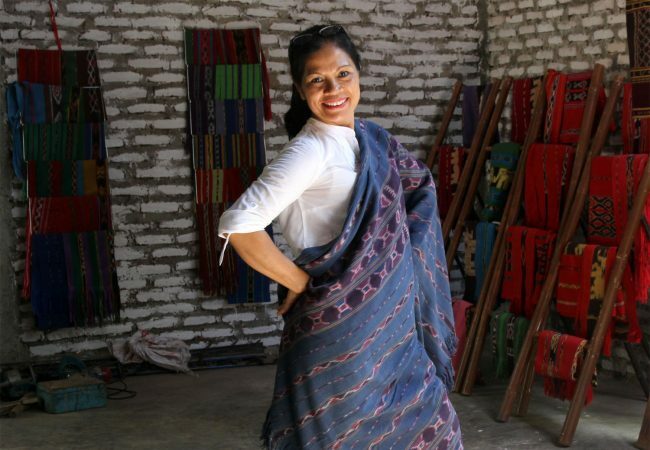 So far, their works have been very successful and he himself became a prominent figure in Sumba textile, respected by many famous textile artists, collectors and campaigners around the world. We visited his studio and met his team and watched how the processes being done, truly fascinating. Mrs Ndapakamang also invited us for a lavish lunch and dinner, enjoying delicious local cuisine. We are so grateful for their hospitality. Walakiri Beach. 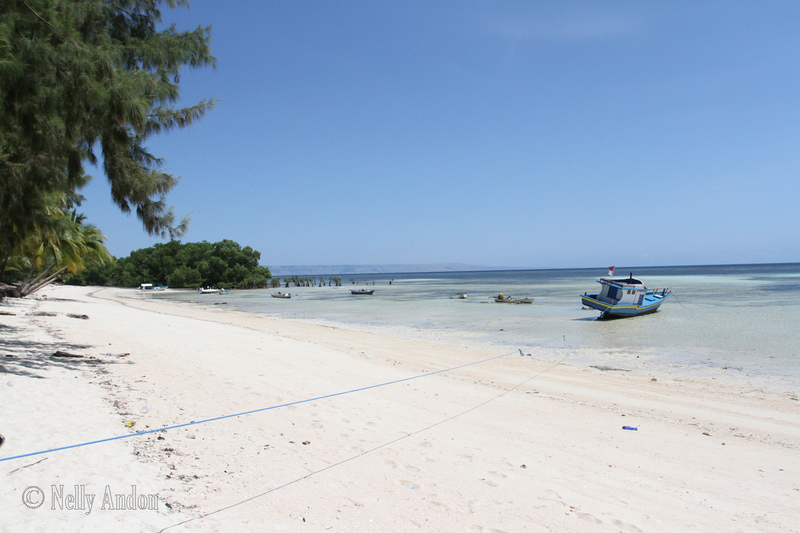 On the day of our visit to this beach it was truly deserted. We arrived here on one late morning, and there was not a visitor insight. We went straight to a nearby warung (a little cafe), and ordered some fresh young coconut to combat the thirst. When I am home in Indonesia, I do indulge on having fresh coconut drink whenever I can lay my hands on them, here there are plenty of them and they cost just pennies. We decided to have an early lunch and order for some local dishes, mainly freshly cooked seafood and fish. The grilled fish was truly amazing. 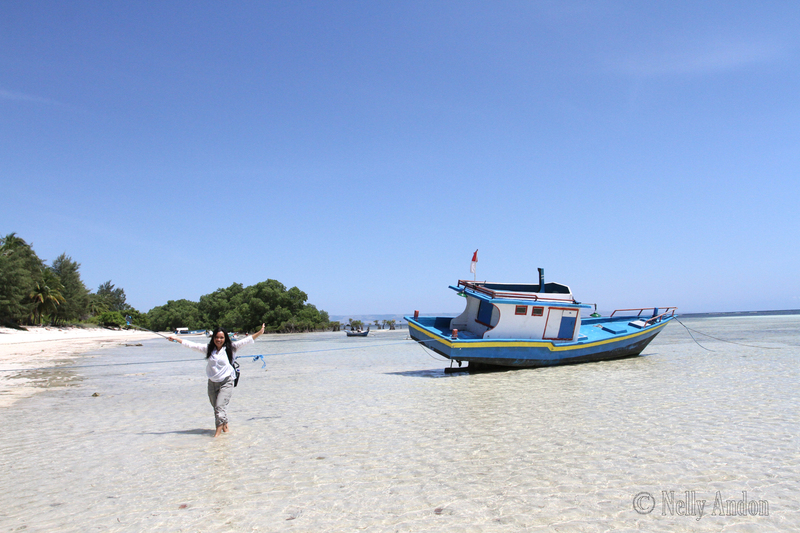 Having a full stomach in this heat does make you feel very sleepy, it was time to have a stroll on this gorgeous sandy beach. 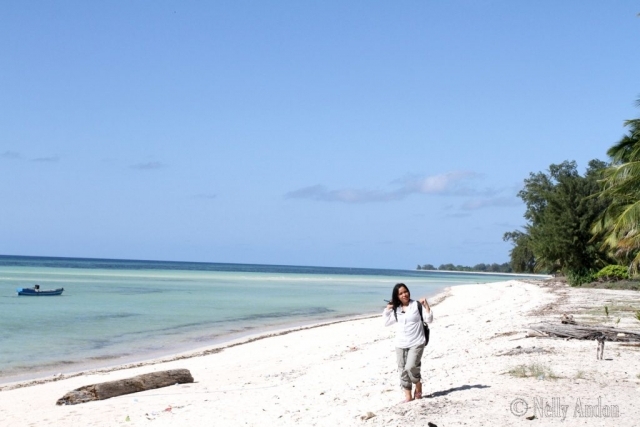 At the time of our visit it was low tide, and the beach is so gently sloped and the water was very sallow that you can actually walk fairly far out into the sea. There were a few local fishing boats nearby where Tara was truly having fun in. 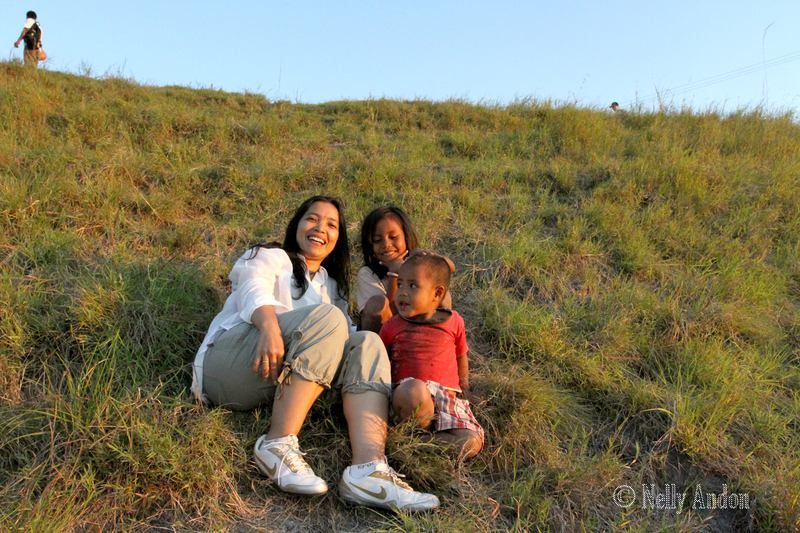 I heard that sunset is truly amazing here, sadly, we had to leave to explore other places. Perhaps on the next visit, sunset visit indeed. 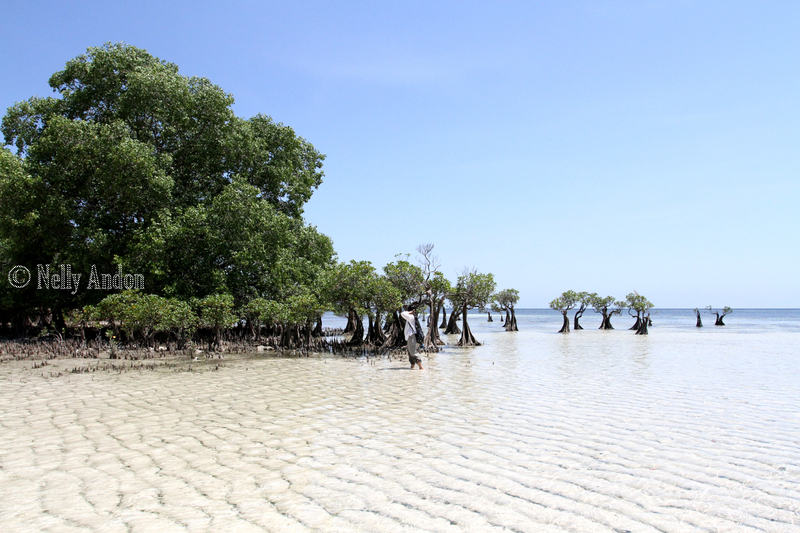 One thing which really fascinated me were the Mangrove trees, they have such amazing shapes, much like Japanese bonsais. 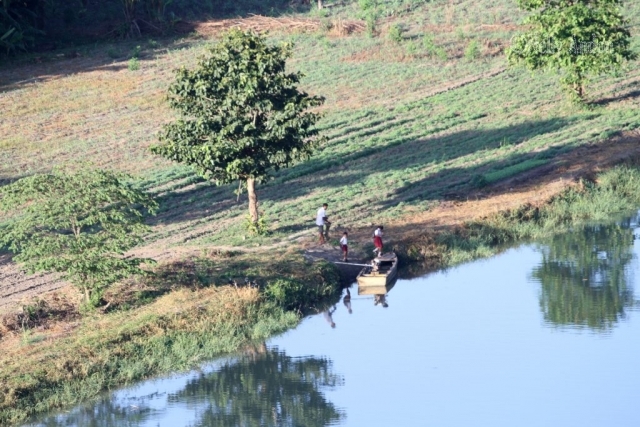 They look dancing in the shallow water, growing happily almost submerged in the sea water. Nature is truly amazing. 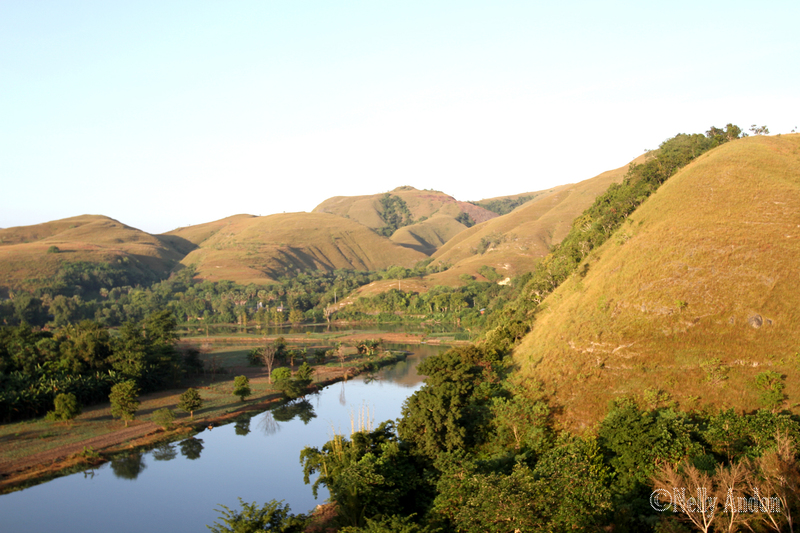 After Walakiri beach, we headed towards Warinding Hills, a truly breathtaking landscape, very quiet and deserted, a perfect place to spend the late afternoon to enjoy the golden sunshine on the curves of the hills. 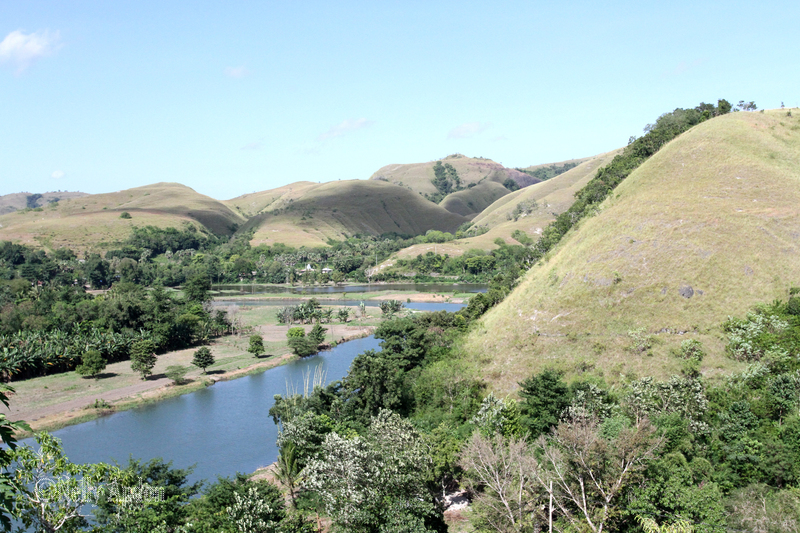 Wairinding Hills are located in East Sumba, only about 30 minutes’ drive from Waingapu city. On our way there, pak Joko told us to bring our Ikat textiles which we have purchased from the weavers in the past few days. He mentioned, that there were lot of tourists came here just to have their photo taken with their lovely textiles they have purchased, so we just joined the crowds and did the same, and the result, very satisfying indeed. My ikat that I wore on the photo shoot below, really matching the surrounding sunny hills, I was really happy with the result. Next stop was Pau Village in Melolo. 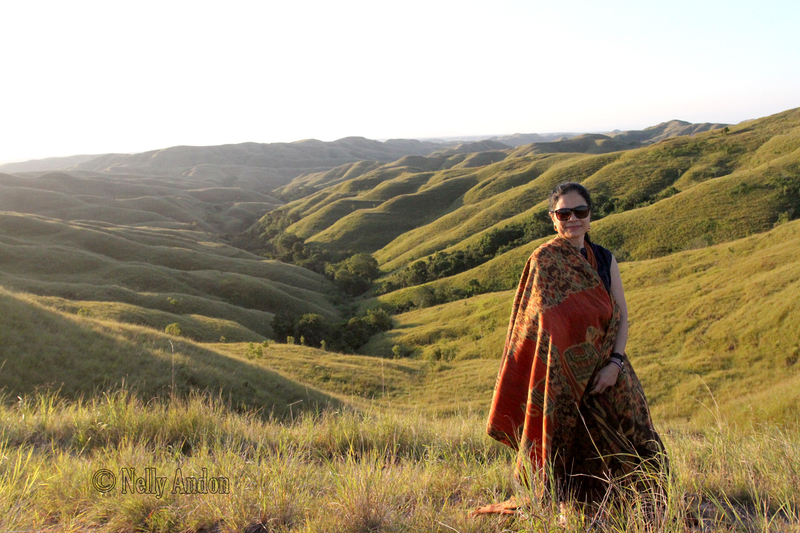 Tana Umalulu, often called Melolo, is a district in East Sumba, famous for the megalithic monuments. 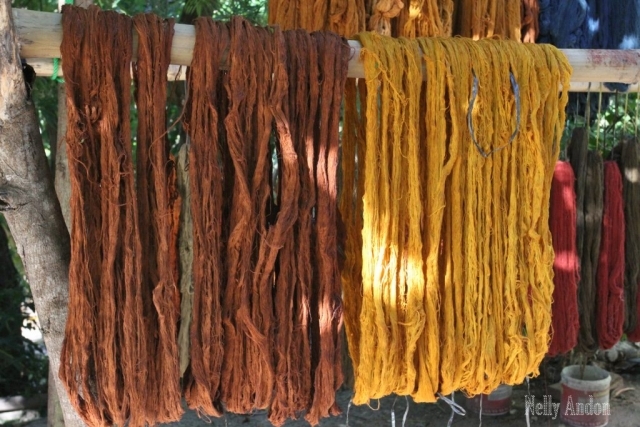 I have decided to write about Melolo in a separate blog, as we have a lot of stories I want to share from this kingdom. 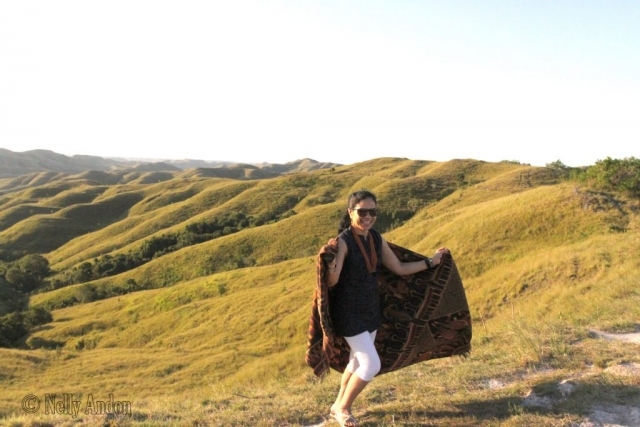 Sumba is an amazing island with amazing culture and tradition. 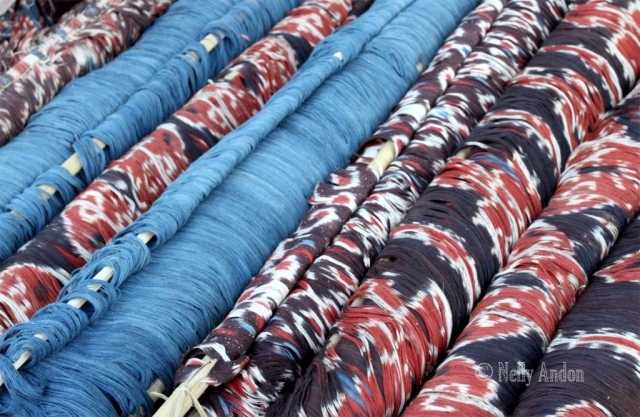 I will definitely go back and to get to know more weavers and their textiles. 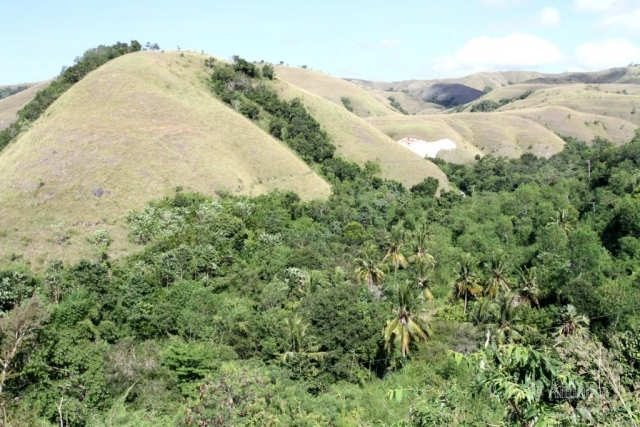 On my next visit, I would love to visit the West part of Sumba, which apparently a large part of it still untouched by civilisation.